Ever since the release of my Retro Christmas Tree Towel I’ve received several requests for seasonal items using the same techniques. This is why I designed this coaster set. I always have the best of intentions, such as “I’ll work on Christmas designs during the summer and Mother’s Day designs at Christmas.” And then before I know it, the next season/holiday is upon us and I haven’t completed a new project! Can you relate? Although I love the decorative towels I designed for Christmas and Valentine’s Day, I thought I’d go a another route and design a different project for the home this time. 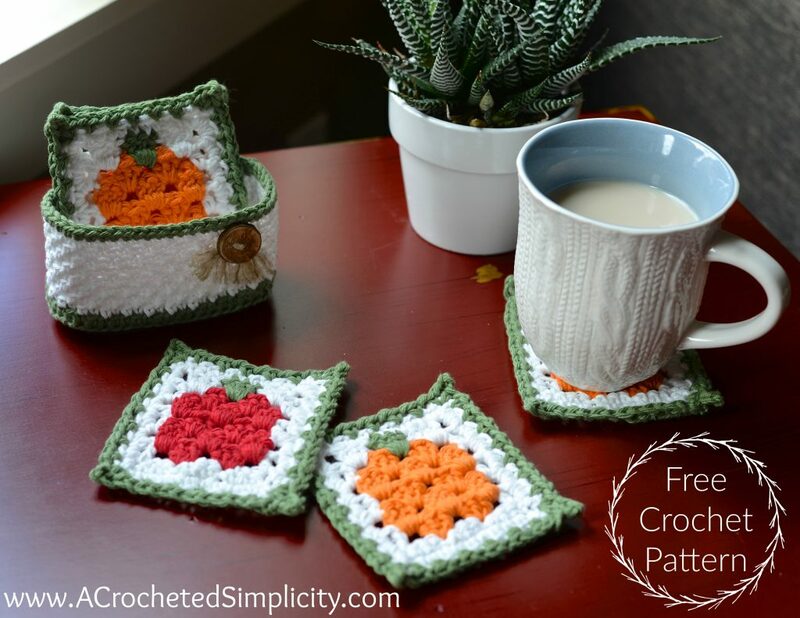 The Fall Harvest Coaster Set uses only one pattern to create either pumpkin or apple coasters simply by changing the colors you use. 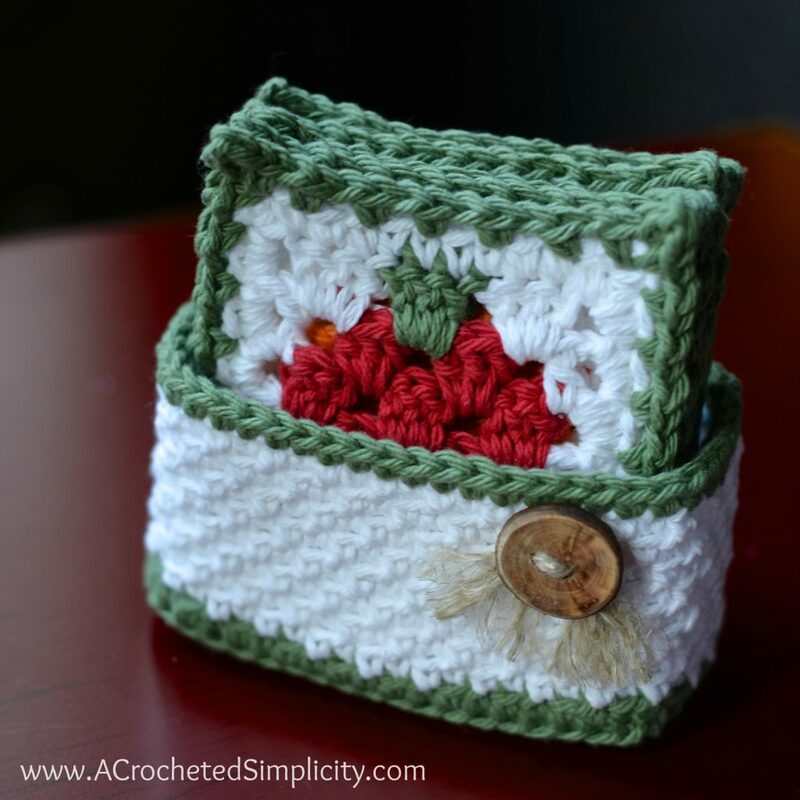 Not a fan of coasters, but love the little basket? 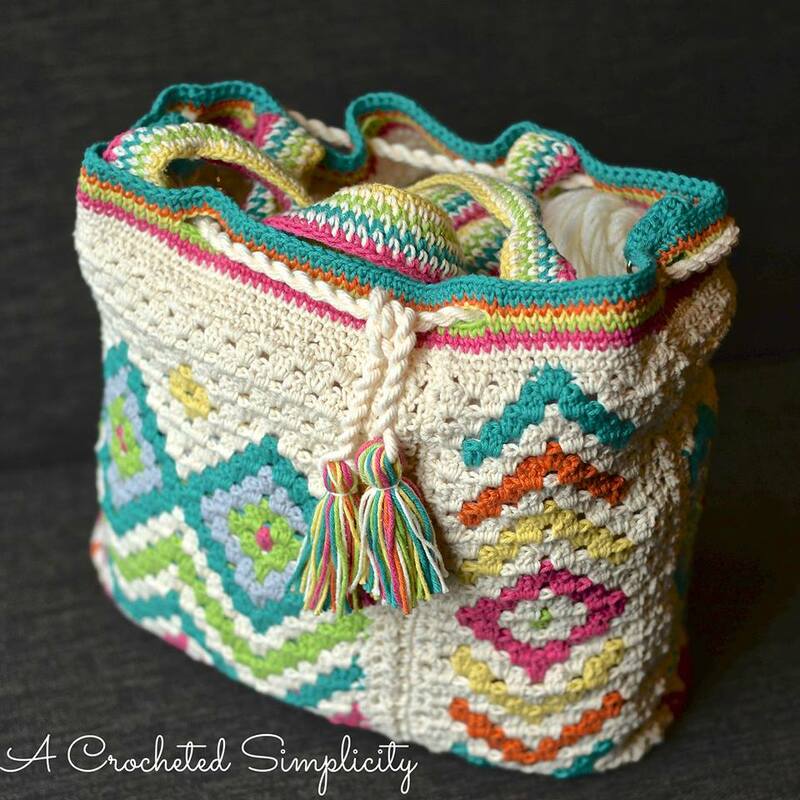 The basket itself is great for a variety of things such as a crochet hook holder for the table next to your favorite chair. I also think the coasters would make a great fall bunting you can hang in your home. First stitch of each row is worked into the same stitch as turning chain, unless stated otherwise. 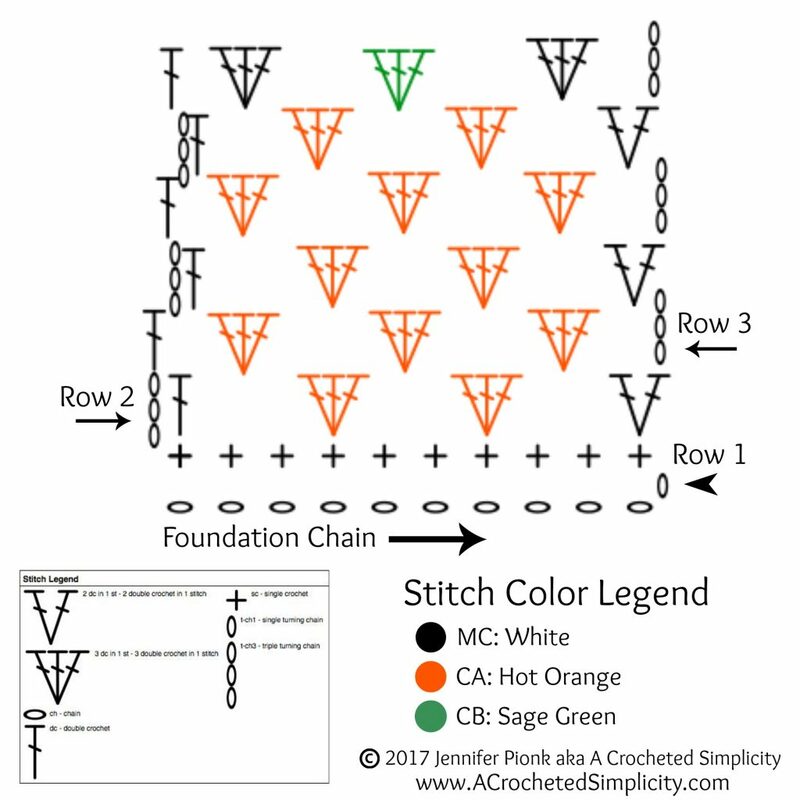 Color Changes: Work all color changes on the final pull thru of the last stitch you’re working before the new color. 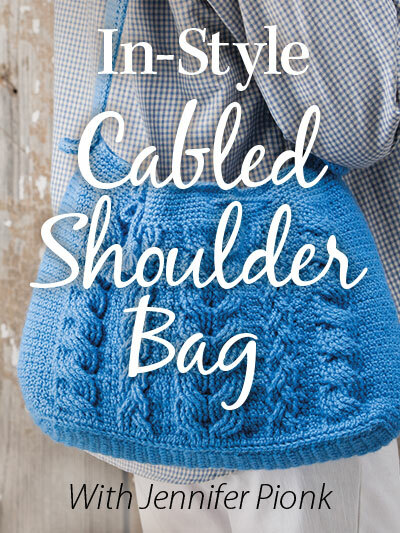 Example: If the last st you’re working before a color change is a double crochet, begin your double crochet by inserting your hook where indicated, yo, pull up a loop, yo, pull thru 2 loops, yo with the NEW color, pull thru remaining 2 loops to complete the stitch. Then continue on with your new color. *Click here for Color Change Photo Tutorial. *Follow color chart below beginning w/ Row 2. Rows 5 – 7: Rep Rows 3 – 4, ending with a Row 3 rep. Continue below to Row 8. Click here for Color Change Tuutorial & tips on working yarn floats. 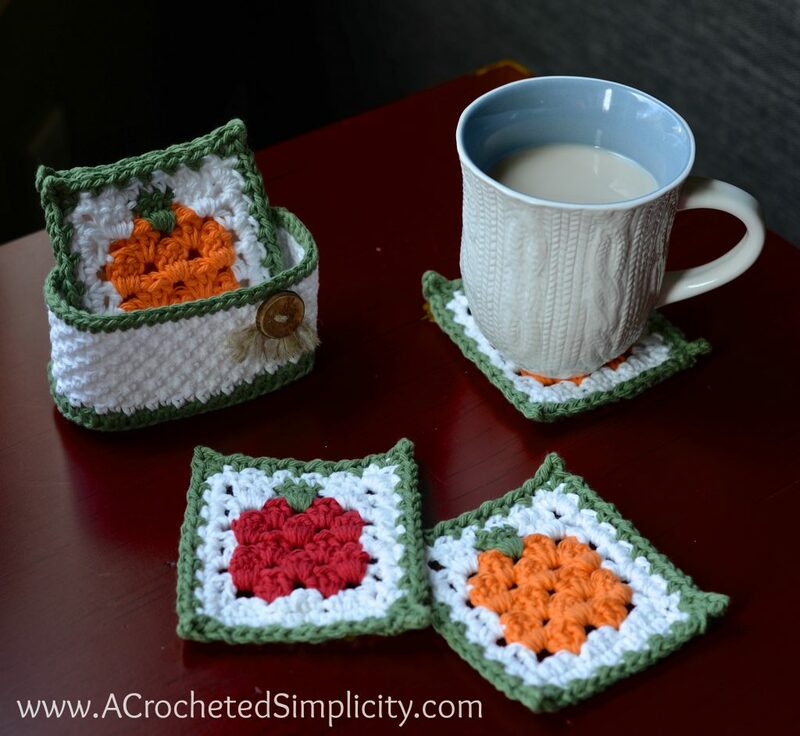 Apple Coaster: To make an apple coaster, instead of a pumpkin coaster, simply use a red yarn instead of orange. Fasten off. Finished dimensions at this point: 3-1/2″ W x 3-5/8″ H. Continue on to Border, if desired. 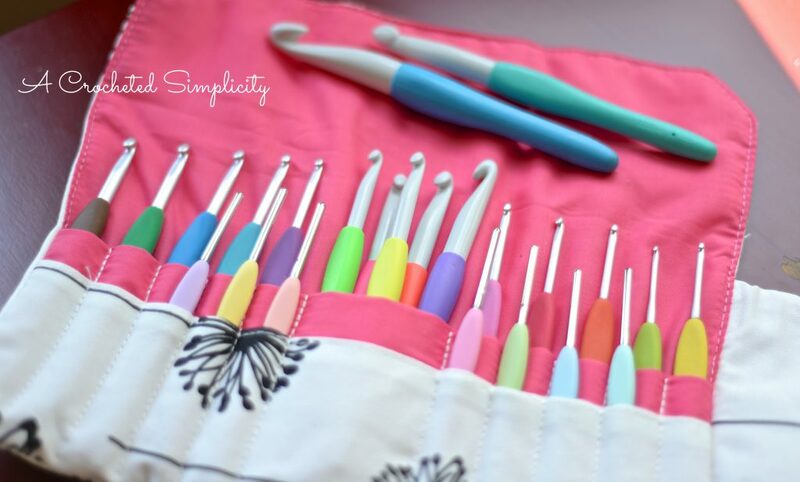 Rnd 1 (RS): With CB & 5.00mm crochet hook, join yarn w/ a sc in the ch-1 sp at the bottom, right corner, ch 3, sc in 3rd ch from your hook, sc in same ch-1 corner sp, ** [ ch 1, skip the next st, sc in the next st ] work from [ to ] 7 times, ch 1, (sc, ch 3, sc in 3rd ch from your hook, sc) in the next corner ch-1 sp, [ ch 1, skip the next st, sc in the next st ] work from [ to ] 5 times, ch 1 **, (sc, ch 3,sc in 3rd ch from your hook, sc) in the next corner ch-1 sp, then rep from ** to **. Join w/ a sl st to the 1st sc. Fasten off. Weave in ends. Finished dimensions: 4″ W x 4-1/2″ H (from outermost corner points). Rows 2 – 17: Ch 1, sc in each st across. Turn. Do Not Fasten off. Continue on to Basket Sides. Base should be approximately 2-1/4″ W x 5″ L.
Rnd 2 (MC): Ch 1, [ FLO sc in the next st, BLO sc in the next st ] rep around. Join. Rnd 3: Ch 1, [ BLO sc in the next st, FLO sc in the next st ] rep around. Join. Rnds 4 – 9: Rep Rnds 2 – 3. Rnd 10 (CB): Ch 1, sc in each st around. Join. Fasten off. Weave in ends. Finished Height approximately 2-1/2″H. Attach a button for decoration, if desired. I added a handmade wood button and attached it with a piece of jute. I made sure the ends of the jute were brought through to the front of the basket, then frayed the ends of the jute.